Well guys, the sequel to Haunting Me as been officially re-released through my publisher Kindred Ink Press with a brand new spanking cover! I love it! You can get your copy at Amazon, Kobo, Barnes and Noble and more! Just click on the cover below to get to the amazon page! A huge thank you to everyone who has supported this book, written reviews and even just shared it via Social Media. And if you've read it but haven't reviewed it, please do me a solid and give it a rating on goodreads or amazon! I am so excited to announce that my new book releases in TWO weeks! Though I don't have a cover for you yet , I do have a synopsis for you and a title! Pre-order is up right now, get your copy RIGHT now on amazon for only .99 until release day! Just click the image below! I am so happy you've popped on by to my page. I'm part of a fantastic international blog hop where YOU can win a 150$ amazon gift-card, 30 ebooks from romance and chick lit authors all my entering the raffle-copter giveaway below. Don't forget to check out the other author blogs, which I will link below, for your chance to win other prizes! Its so simple, just hop from blog to blog! So let me do a quick introduction of who I am. My name is Nikki LeClair and I write chicklit and cozy mysteries. 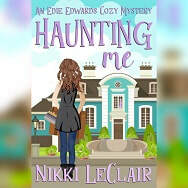 I have recently released a cozy mystery series entitled The Edie Edwards Series, and the first book called Haunting Me won a Readers Favorite Silver Medal award this past year! Now, onward to the giveaways! Yet, I LOVE the Christmas feasts. Especially the Christmas Eve one I have with my family. I'm first generation Canadian, but my parents and grandparents all came from Poland. They are Catholic and stick to the tradition of only seafood on Christmas Eve, no meat whats so ever the day before Jesus's birth. But before the fried fish and fish salads (with mayo, its weird but oddly tasty), comes the starter. Which we only have once a year, on Christmas Eve, and is basically my favorite food in the entire world. 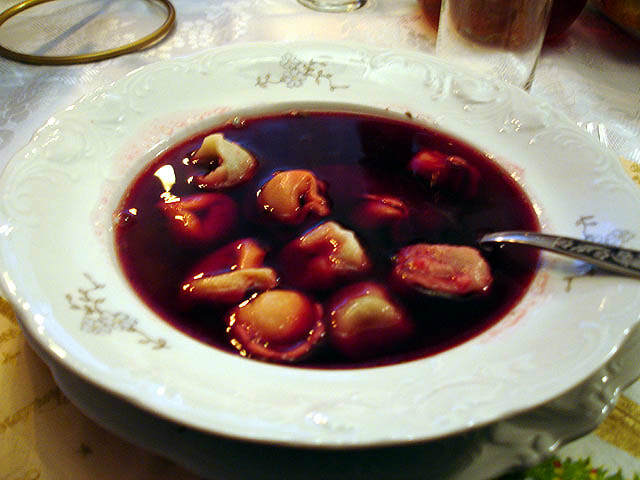 It's called Borscht with Uszka, which is beet soup with mushroom dumplings. I look forward to this dish ALL year, and my mom knows to make me extra broth and extra dumplings for the days after Christmas. Before you go, please check out Author Kate 'Okeefe's blog for your chance to enter to win a copy of her book, One Last Date. Just click the picture below to head over to her page and hop backwards from there to check out other blogs! Enter the rafflecopter giveaway for a 150 amazon gift card below! Today I'm Co-hosting a Facebook Christmas party! This year I'm part of THREE Christmas 'hop's over on this blog and in Facebookland. I am so excited! Today I'm over at Booked for the Holiday's, co-hosting with book blogger Karen Owen, for the day. Stop by for some awesome book talk, prizes and giveaways, not to mention the chance to meet some super talented authors and bloggers! First off, Haunting Me was officially picked up by Kindred Ink Press! It was renamed to The Edie Edwards Series (those of you who read the series know Edie loved and supported this suggestion wholly) and finally, republished. The first book is already online, and I would love it if you could leave a review, if you have read the first book already. If not, I would LOVE it more so if you grabbed yourself a copy! Isn't the new cover fabulous? Secondly, Haunting Me won SECOND place in the Readers Choice Awards this past September in the General Mystery category! I am still over the moon with this win, and can't believe it was recognized. 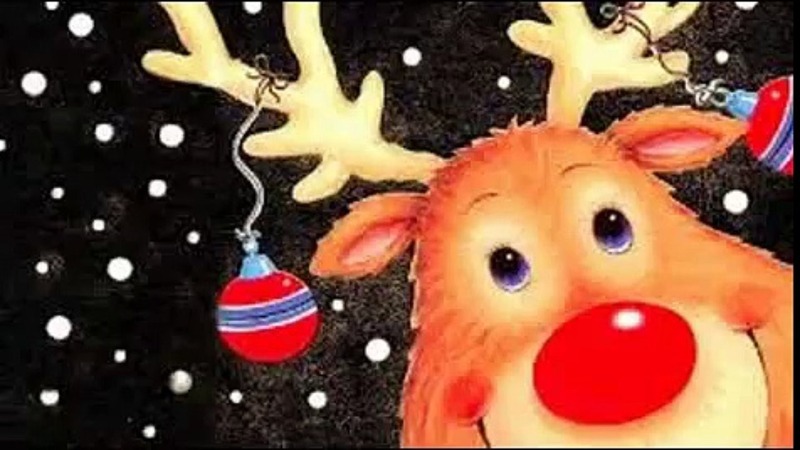 Free Christmas Anthology? Say what?? 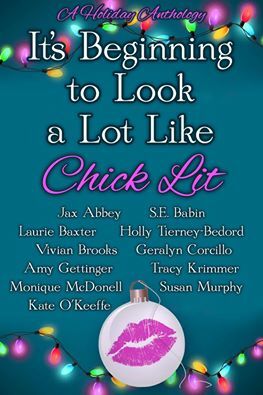 A week before Locking Up Santa was released, a Christmas anthology entitled 'It's Beginning to Look a Lot Like Christmas' featured my short story, Christmas Cookies written under my pen name, Vivian Brooks. It joins several other short stories by talented and creative authors. It was such a pleasure working with these authors, and I strongly urge you all to look them up! 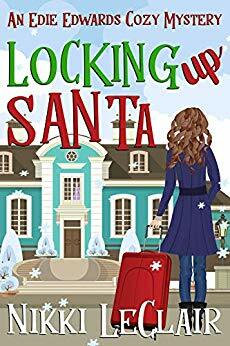 So excited for Locking Up Santa to be released! November 8th marks the release for Haunting Me's sequel, Locking Up Santa. You can get it on pre-order for only .99 until that day! Just click on the cover image. Join Phoebe and Edie as they try to save a dear friend from a lifetime behind bars, Lavish Looks from sinking, and making sure Christmas goes off without a hitch! Can they do it? We need them. We desperately need them. I think I may have written about this before but I'm writing about it again. If you've recently purchased and read Haunting Me, please do me a HUGE favor and leave me a review on Amazon, and/or goodreads. Just a simple rating, or 'it rocked! ', or 'it sucked!' will do. My second novel is out now on Amazon! with her new companion, a flashy, dramatic deceased woman by the name of Edie Edwards. Read as they embark on a adventure seeking the truth in a barrel of deception, greed and possible murder.